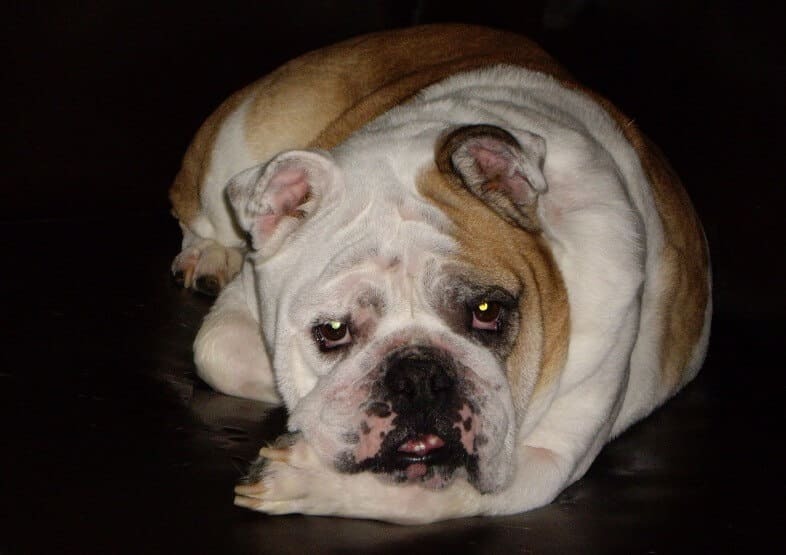 Resolution Needed for Dogs Yeasty Ear Infections? Home » Dog Health » Yeast in Dogs » Resolution Needed for Dogs Yeasty Ear Infections? 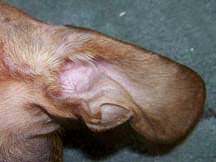 People spend all kinds of time and money looking for some quick and inexpensive answer for their dog’s yeasty ears, without ever knowing how and where the problem came about, nor what it will take to actually resolve it. There is an answer, though it may not be as simple as you might desire. If you really care to finally get this resolved, we urge you to examine this article completely, as well as the visual proof and supporting Stories. Where did the yeast in the ears come from? All that YEAST that is creating havoc in your dog’s ears, messing with his/her otherwise comfortable lifestyle, and causing you a lot of stress, worry and wasted time/money – does not just appear in your dog’s ears out of thin air from the environment! What you’re dealing with is Candida, the source of which is the yeast being part of the Flora of the GUT, in either pet or human. The Candida is not a friendly element; it’s a fungus that can wreak havoc on the entire body – if let loose to take control of that gut. For a healthy pet (or person), this yeast fungus is kept under control (or constrained) by the presence of large amounts of the friendly bacteria colonies that not only need to be in control but make up about 70% of immune function when present in healthy numbers. Most women are somewhat familiar with yeast infections but not so familiar with how devastating such infections can be when it’s the GUT involved. We’re talking about the most common health problem with dogs of our modern day. Yeast Candida is very aggressive and will take control of the gut when good bacteria colonies are destroyed by various factors. Usage of antibiotics is, of course, an obvious and easy factor; 3 weeks on general antibiotics (without using a good probiotic) will likely devastate the good stuff in the gut. But, for 2 decades, we have been showing people that the most likely cause is the heavily repeated vaccinations that dogs are subjected to, especially RABIES, which is very hard on the dog’s system (messing with chemical balance & pH). Stress can also be a major factor – like moving cross-country, frequent overexcitement or anything that can invoke negative stress. When the necessary bacteria are gone or majorly declined the Candida can easily begin to take control of the gut, and will then have the opportunity to travel to other parts of the body, including ears and skin surface. Our years of experience show us that in early stages of yeast taking over, the VERY FIRST yeast symptoms in the dog will be presented at the ears or the feet, or both. So, the build-up of yeast in the ears is a result of what’s happening in the gut. And when the dog is constantly licking or chewing at the feet/paws (maybe the lower legs as well), this is a powerful sign of the Candida yeast beginning its ‘havoc raising’ activity with the body. 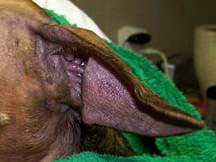 Trips to a vet will likely yield an ‘allergies’ claim, even while noting the dogs yeasty ear problems. Once the resulting treatments are begun – steroids + antibiotics – the rest of the body will begin to be ravaged by the yeast. 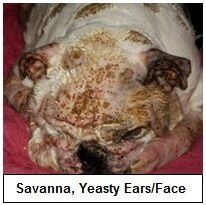 This was exactly the case with Savanna (as seen on this page); wherein, she went in just for yeasty ear infections and those treatments were begun. What happened to Savanna next was fairly horrific. 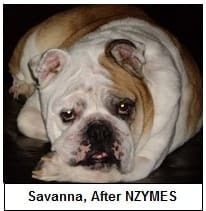 You can really see Savanna’s before/after progress by clicking each photo. And, you can see her full Story – by CLICKING HERE. While we would love to be able to give you the simple “single product fix” (that silver-bullet that people seek), we must tell you that these problems are much too challenging to be resolved that way. The body really needs more help than any one product can produce. Since it’s actually dealing with a fundamental yeast overgrowth issue of the digestive tract, you MUST approach this in a full Yeast-Cleansing mode. Trying to deal with it only at the ears, you will cause yourself endless frustration, while exhausting your bank. The only effective way to deal with this challenge is our highly effective, nutritionally focused NZYMES® Healthy-Skin Program, which comes with four products in a Kit to approach the resolution from three directions. We must provide nutritional support to strengthen the entire body, especially immune function (while restoring it); we must counter the growth of the yeast (the liquids), and we must restore the friendly bacteria, which takes a lot of months. Per the previous section, we recommend the NZYMES® Healthy-Skin Program, and we’ve presented our most inexpensive ‘starter kit’ below. This can be a great, effective and economical way to get your dog on the right path. We have several other kits to choose from, but this is a good start, especially if only the ears and feet are so far involved. You will need to spend time learning about the program (from links above) because there is much to it – like cleaning the ears daily with a solution made using the Ox-E-Drops. Once you have your Kit, just keep in mind – that Free Phone Support comes with it. We’re here to ensure you get the results you desire! We want you to succeed. 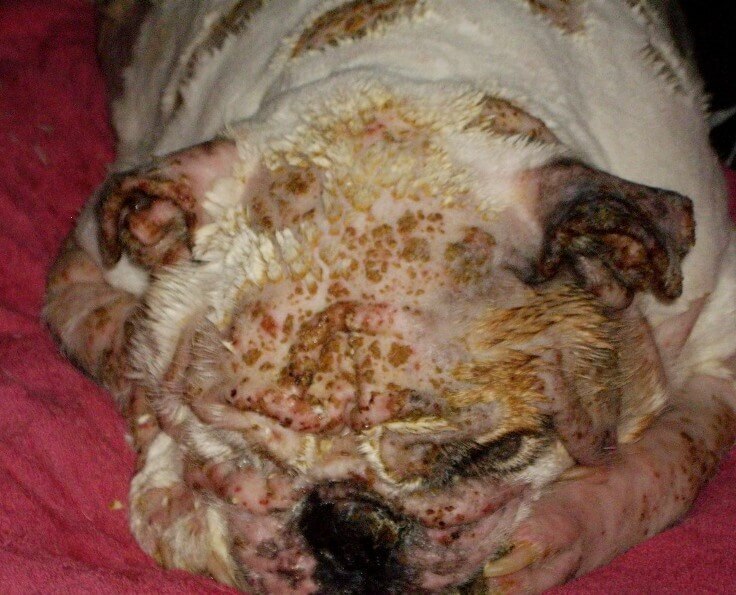 - What is a Systemic Yeast Infection in Dogs? Dachshund Duo Doing Well with Nzymes. Golden Retriever Skin Problems - Allergies or Yeast? Hardy's Skin Problems: Allergies, or Yeast?